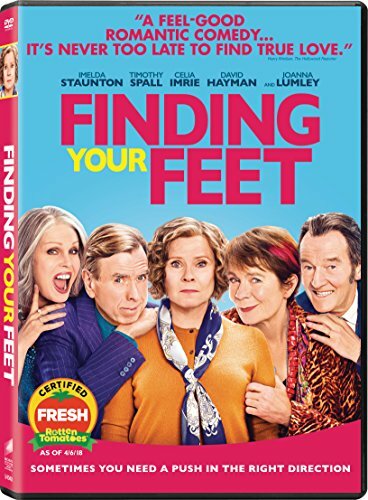 Find out what the world looked like on November 20 in the most popular years: events, famous birthdays, music, movies, etc..
Finding Your Feet directed by Richard Loncraine was one of the most viewed movies released in 2017. But much more happened, find out here: 20 November 2017. 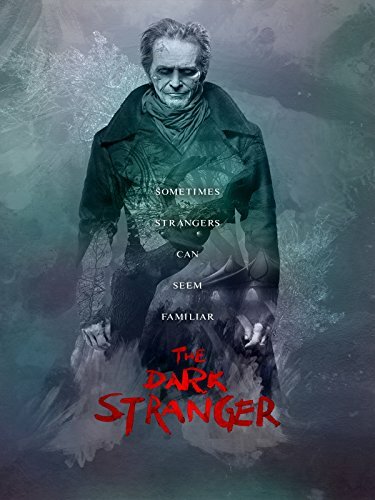 The Dark Stranger directed by Chris Trebilcock was one of the most viewed movies released in 2015. But much more happened, find out here: 20 November 2015. 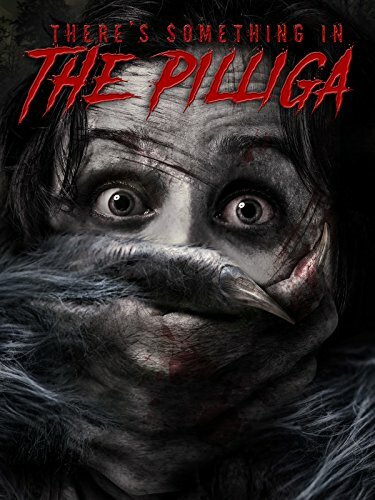 There's Something in the Pilliga directed by Dane Millerd was one of the most viewed movies released in 2014. But much more happened, find out here: 20 November 2014. 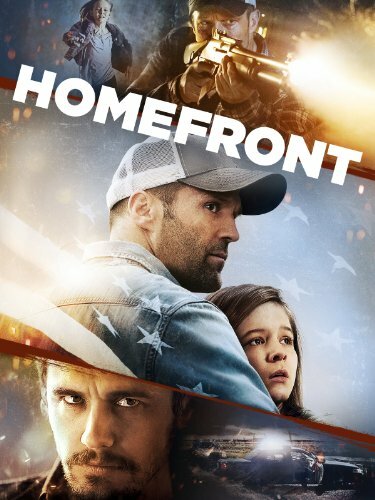 Homefront directed by Gary Fleder was one of the most viewed movies released in 2013. But much more happened, find out here: 20 November 2013. A 2nd Chance directed by Clay Glen was one of the most viewed movies released in 2011. But much more happened, find out here: 20 November 2011. Burlesque directed by Steve Antin was one of the most viewed movies released in 2010. But much more happened, find out here: 20 November 2010. 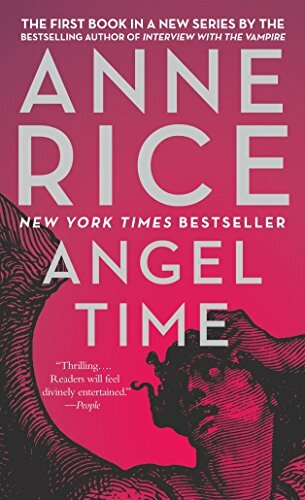 Angel Time by Anne Rice was one of the best seller of 2009. But much more happened, find out here: 20 November 2009. Famous people born on this day include Griffin McIntyre. In UK Bleeding Love by Leona Lewis was in the top 5 hits. Hitman, directed by Xavier Gens, was one of the most viewed movies released in 2007. Eat, Pray, Love by Elizabeth Gilbert was one of the best selling books. But much more happened, find out here: 20 November 2007. 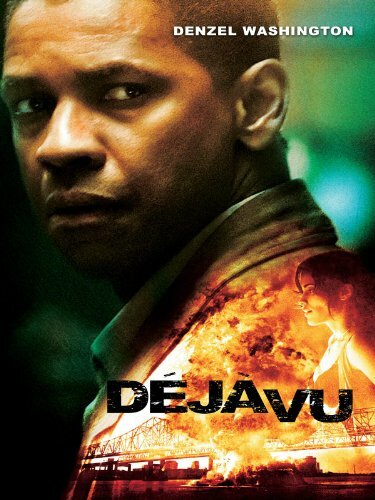 Deja Vu directed by Tony Scott was one of the most viewed movies released in 2006. But much more happened, find out here: 20 November 2006. 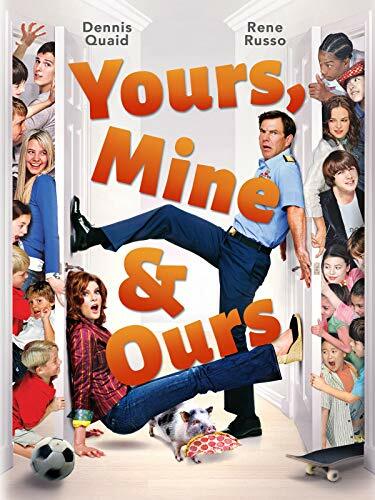 Yours, Mine & Ours directed by Raja Gosnell was one of the most viewed movies released in 2005. But much more happened, find out here: 20 November 2005. 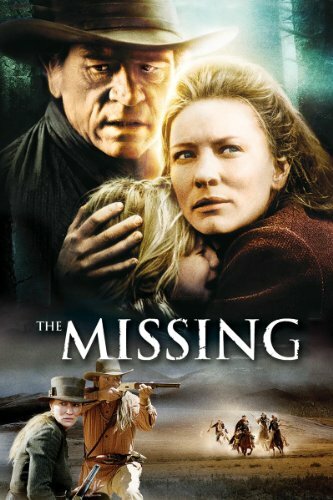 The Missing directed by Ron Howard was one of the most viewed movies released in 2003. But much more happened, find out here: 20 November 2003. Famous people born on this day include Madisyn Shipman. In that special week people in US were listening to Lose Yourself by Eminem. Extreme Ops, directed by Christian Duguay, was one of the most viewed movies released in 2002. The Kiss by Danielle Steel was one of the best selling books. But much more happened, find out here: 20 November 2002. Famous people born on this day include Armstrong Twins. In that special week people in US were listening to Family Affair by Mary J. Blige. Gasoline, directed by Monica Stambrini, was one of the most viewed movies released in 2001. Q by Quincy Jones was one of the best selling books. But much more happened, find out here: 20 November 2001. The US president was Bill Clinton (Democratic). Famous people born on this day include Connie Talbot. In UK Who Let The Dogs Out by Baha Men was in the top 5 hits. 102 Dalmatians, directed by Kevin Lima, was one of the most viewed movies released in 2000. Drowning Ruth by Christina Schwarz was one of the best selling books. But much more happened, find out here: 20 November 2000. Famous people born on this day include Gianna Newborg. In UK Keep On Movin' by Five was in the top 5 hits. Flawless, directed by Joel Schumacher, was one of the most viewed movies released in 1999. Pop Goes the Weasel by James Patterson was one of the best selling books. But much more happened, find out here: 20 November 1999. Famous people born on this day include Maximiliane Hansen. In that special week people in US were listening to Doo Wop (That Thing) by Lauryn Hill. Ringmaster, directed by Neil Abramson, was one of the most viewed movies released in 1998. Chicken Soup for the Teenage Soul II by Jack Canfield, Mark Victor Hansen, Kimberly Kirberger was one of the best selling books. But much more happened, find out here: 20 November 1998. Famous people born on this day include Leahallyannah . In that special week people in US were listening to Candle In The Wind 1997 by Elton John. Ishq, directed by Indra Kumar, was one of the most viewed movies released in 1997. Angela's Ashes by Frank McCourt was one of the best selling books. But much more happened, find out here: 20 November 1997. 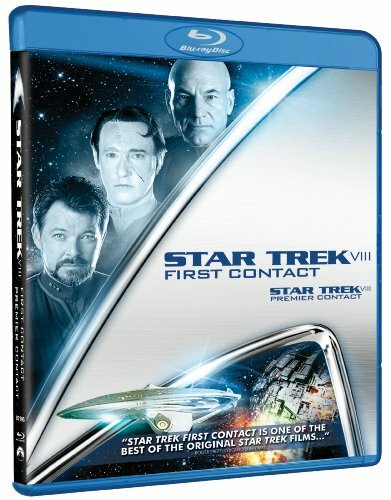 Star Trek: First Contact directed by Jonathan Frakes was one of the most viewed movies released in 1996. But much more happened, find out here: 20 November 1996. Famous people born on this day include Michael Clifford. In that special week people in US were listening to Fantasy by Mariah Carey. The Snow Queen, directed by Martin Gates, was one of the most viewed movies released in 1995. The Children'S Book Of Virtues by Michael Hague was one of the best selling books. But much more happened, find out here: 20 November 1995. Famous people born on this day include Tiara Rapp. In that special week people in US were listening to I'll Make Love To You by Boyz II Men. Junior, directed by Ivan Reitman, was one of the most viewed movies released in 1994. The Hot Zone by Richard Preston was one of the best selling books. But much more happened, find out here: 20 November 1994. Famous people born on this day include Sumire Satō. In UK I'd Do Anything For Love (But I Won't Do That) by Meat Loaf was in the top 5 hits. A Perfect World, directed by Clint Eastwood, was one of the most viewed movies released in 1993. Lasher by Anne Rice was one of the best selling books. But much more happened, find out here: 20 November 1993. The US president was George H. W. Bush (Republican). Famous people born on this day include Maiha Ishimura. In UK Would I Lie To You? by Charles & Eddie was in the top 5 hits. The Bodyguard, directed by Mick Jackson, was one of the most viewed movies released in 1992. The Stars Shine Down by Sidney Sheldon was one of the best selling books. But much more happened, find out here: 20 November 1992. Famous people born on this day include Irene Esser. In UK Dizzy by Vic Reeves & The Wonder Stuff was in the top 5 hits. My Girl, directed by Howard Zieff, was one of the most viewed movies released in 1991. The Doomsday Conspiracy by Sidney Sheldon was one of the best selling books. But much more happened, find out here: 20 November 1991. Famous people born on this day include Zack Martin. In that special week people in US were listening to Love Takes Time by Mariah Carey. The Nutcracker Prince, directed by Paul Schibli, was one of the most viewed movies released in 1990. Friday Night Lights by H. G. Bissinger was one of the best selling books. But much more happened, find out here: 20 November 1990. Famous people born on this day include Cody Linley. In UK All Around The World by Lisa Stansfield was in the top 5 hits. Back to the Future Part II, directed by Robert Zemeckis, was one of the most viewed movies released in 1989. Poodle Springs by Raymond Chandler and Robert B. Parker was one of the best selling books. But much more happened, find out here: 20 November 1989. The US president was Ronald Reagan (Republican). Famous people born on this day include Marie-Laure Brunet. In UK First Time by Robin Beck was in the top 5 hits. Cocoon: The Return, directed by Daniel Petrie, was one of the most viewed movies released in 1988. The Cardinal Of The Kremlin by Tom Clancy was one of the best selling books. But much more happened, find out here: 20 November 1988. 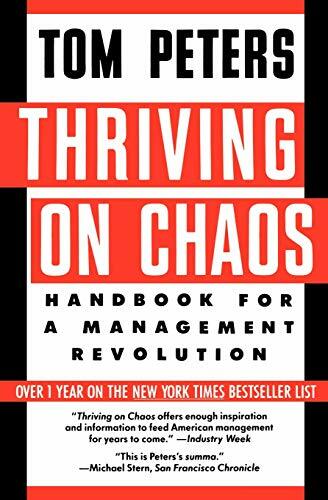 Thriving On Chaos by Tom Peters was one of the best seller of 1987. But much more happened, find out here: 20 November 1987. Famous people born on this day include Oliver Sykes. In that special week people in US were listening to Amanda by Boston. The Mosquito Coast, directed by Peter Weir, was one of the most viewed movies released in 1986. His Way by Kitty Kelley was one of the best selling books. But much more happened, find out here: 20 November 1986. Famous people born on this day include Dan Byrd. In UK The Power Of Love by Jennifer Rush was in the top 5 hits. The Good Father, directed by Mike Newell, was one of the most viewed movies released in 1985. Galapagos by Kurt Vonnegut was one of the best selling books. But much more happened, find out here: 20 November 1985. Famous people born on this day include Jeremy Jordan (actor born 1984). In that special week people in US were listening to Wake Me Up Before You Go-Go by Wham!. What Waits Below, directed by Don Sharp, was one of the most viewed movies released in 1984. First Among Equals by Jeffrey Archer was one of the best selling books. But much more happened, find out here: 20 November 1984. Famous people born on this day include Future (rapper). In that special week people in US were listening to All Night Long (All Night) by Lionel Richie. Of Unknown Origin, directed by George P. Cosmatos, was one of the most viewed movies released in 1983. August by Judith Rossner was one of the best selling books. But much more happened, find out here: 20 November 1983. 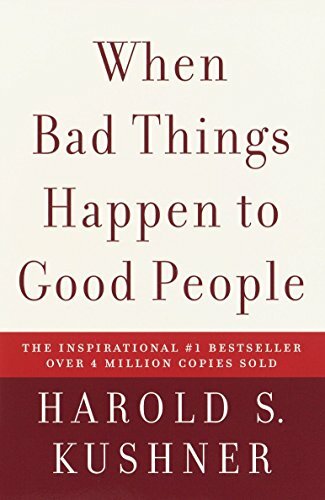 When Bad Things Happen To Good People by Harold S. Kushner was one of the best seller of 1982. But much more happened, find out here: 20 November 1982. Famous people born on this day include Kimberley Walsh. In UK Under Pressure by Queen & David Bowie was in the top 5 hits. Venom, directed by Piers Haggard, was one of the most viewed movies released in 1981. The Hotel New Hampshire by John Irving was one of the best selling books. But much more happened, find out here: 20 November 1981. The US president was Jimmy Carter (Democratic). Famous people born on this day include Shalini (actress). In that special week people in US were listening to Lady by Kenny Rogers. Gregory's Girl, directed by Bill Forsyth, was one of the most viewed movies released in 1980. The Clan Of The Cave Bear by Jean M. Auel was one of the best selling books. But much more happened, find out here: 20 November 1980. Famous people born on this day include Maree Bowden. In that special week people in US were listening to Still by Commodores. Last Hurrah for Chivalry, directed by John Woo, was one of the most viewed movies released in 1979. Sophie's Choice by William Styron was one of the best selling books. But much more happened, find out here: 20 November 1979. Famous people born on this day include Nadine Velazquez. In UK Rat Trap by The Boomtown Rats was in the top 5 hits. 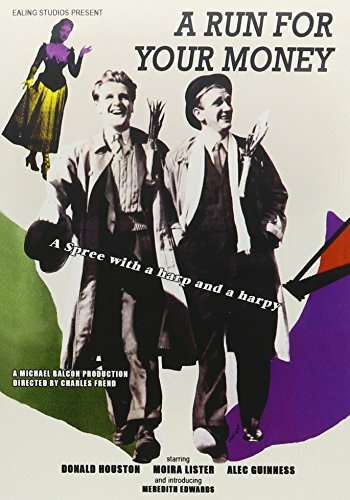 Same Time, Next Year, directed by Robert Mulligan, was one of the most viewed movies released in 1978. Eye Of The Needle by Ken Follett was one of the best selling books. But much more happened, find out here: 20 November 1978. Famous people born on this day include Josh Turner. In UK Name Of The Game by Abba was in the top 5 hits. The Pack, directed by Robert Clouse, was one of the most viewed movies released in 1977. The Book Of Merlyn by Terence H. White was one of the best selling books. But much more happened, find out here: 20 November 1977. The US president was Gerald Ford (Republican). Famous people born on this day include Laura Harris. In that special week people in US were listening to Tonight's The Night (Gonna Be Alright) by Rod Stewart. Keoma, directed by Enzo G. Castellari, was one of the most viewed movies released in 1976. Blue Skies, No Candy by Gael Greene was one of the best selling books. But much more happened, find out here: 20 November 1976. Famous people born on this day include Davey Havok. In that special week people in US were listening to Island Girl by Elton John. Alice Cooper: Welcome to My Nightmare, directed by David Winters, was one of the most viewed movies released in 1975. Power! by Michael Korda was one of the best selling books. But much more happened, find out here: 20 November 1975. Famous people born on this day include Vivian Canoletti. In UK Gonna Make You A Star by David Essex was in the top 5 hits. Freebie and the Bean, directed by Richard Rush, was one of the most viewed movies released in 1974. The Woman He Loved by Ralph G. Martin was one of the best selling books. But much more happened, find out here: 20 November 1974. The US president was Richard Nixon (Republican). Famous people born on this day include Angelica Bridges. In UK Let Me In by The Osmonds was in the top 5 hits. Breezy, directed by Clint Eastwood, was one of the most viewed movies released in 1973. Breakfast of Champions by Kurt Vonnegut was one of the best selling books. But much more happened, find out here: 20 November 1973. Famous people born on this day include Jérôme Alonzo. In that special week people in US were listening to I Can See Clearly Now by Johnny Nash. Alice's Adventures in Wonderland, directed by William Sterling, was one of the most viewed movies released in 1972. The Odessa File by Frederick Forsyth was one of the best selling books. But much more happened, find out here: 20 November 1972. Famous people born on this day include Joel McHale. In that special week people in US were listening to Theme From Shaft by Isaac Hayes. Man in the Wilderness, directed by Richard C. Sarafian, was one of the most viewed movies released in 1971. The Exorcist by William Peter Blatty was one of the best selling books. But much more happened, find out here: 20 November 1971. 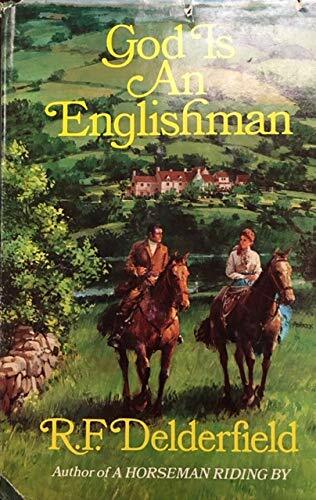 God Is An Englishman by R.F. Delderfield was one of the best seller of 1970. But much more happened, find out here: 20 November 1970. Famous people born on this day include Kristian Ghedina. In that special week people in US were listening to Wedding Bell Blues by The 5th Dimension. Crossplot, directed by Alvin Rakoff, was one of the most viewed movies released in 1969. 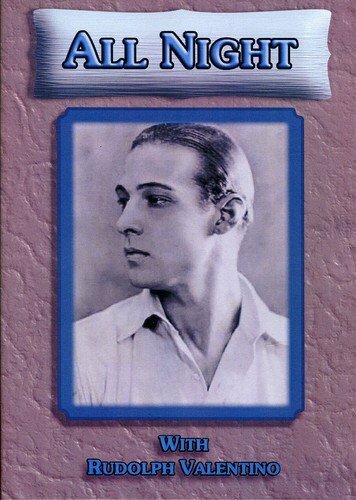 Naked Came The Stranger by Penelope Ashe was one of the best selling books. But much more happened, find out here: 20 November 1969. Famous people born on this day include Katharina Hagena. In that special week people in US were listening to To Sir With Love by Lulu. Billion Dollar Brain, directed by Ken Russell, was one of the most viewed movies released in 1967. Nicholas And Alexandra by Robert K. Massie was one of the best selling books. But much more happened, find out here: 20 November 1967. Famous people born on this day include Kevin Gilbert. In that special week people in US were listening to You Keep Me Hangin' On by The Supremes. Brighty of the Grand Canyon, directed by Norman Foster, was one of the most viewed movies released in 1966. Everything But Money by Sam Levenson was one of the best selling books. But much more happened, find out here: 20 November 1966. Famous people born on this day include Mike D. In that special week people in US were listening to I Hear A Symphony by The Supremes. The Heroes of Telemark, directed by Anthony Mann, was one of the most viewed movies released in 1965. Airs Above The Ground by Mary Stewart was one of the best selling books. But much more happened, find out here: 20 November 1965. Famous people born on this day include Thierry Perkins-Lyautey. In that special week people in US were listening to Baby Love by The Supremes. 36 Hours, directed by George Seaton, was one of the most viewed movies released in 1964. Candy by Terry Southern and Mason Hoffenberg was one of the best selling books. But much more happened, find out here: 20 November 1964. The US president was John F. Kennedy (Democratic). Famous people born on this day include Ming-Na . In that special week people in US were listening to Deep Purple by Nino Tempo & April Stevens. Soldier in the Rain, directed by Ralph Nelson, was one of the most viewed movies released in 1963. City Of Night by John Rechy was one of the best selling books. But much more happened, find out here: 20 November 1963. Famous people born on this day include Gail Ann Dorsey. In that special week people in US were listening to Big Girls Don't Cry by The 4 Seasons. Girls! Girls! Girls!, directed by Norman Taurog, was one of the most viewed movies released in 1962. Final Verdict by Adela Rogers St. Johns was one of the best selling books. But much more happened, find out here: 20 November 1962. Famous people born on this day include Pierre Hermé. In UK His Latest Flame / Little Sisters by Elvis Presley was in the top 5 hits. Blue Hawaii, directed by Norman Taurog, was one of the most viewed movies released in 1961. Ring Of Bright Water by Gavin Maxwell was one of the best selling books. But much more happened, find out here: 20 November 1961. The US president was Dwight D. Eisenhower (Republican). Famous people born on this day include Marc Labrèche. In that special week people in US were listening to Georgia On My Mind by Ray Charles. The Magnificent Seven, directed by John Sturges, was one of the most viewed movies released in 1960. To Kill a Mockingbird by Harper Lee was one of the best selling books. But much more happened, find out here: 20 November 1960. Famous people born on this day include Florence (Italy). In UK Travellin' Light by Cliff Richard & The Shadows was in the top 5 hits. The Angry Red Planet, directed by Ib Melchior, was one of the most viewed movies released in 1959. The Status Seekers by Vance Packard was one of the best selling books. But much more happened, find out here: 20 November 1959. Famous people born on this day include Hervé Hubert. In that special week people in US were listening to It's Only Make Believe by Conway Twitty. Ride a Crooked Trail, directed by Jesse Hibbs, was one of the most viewed movies released in 1958. More In Sorrow by Wolcott Gibbs was one of the best selling books. But much more happened, find out here: 20 November 1958. Famous people born on this day include Jean-Yves Esquerre. In that special week people in US were listening to Jailhouse Rock by Elvis Presley. April Love, directed by Henry Levin, was one of the most viewed movies released in 1957. The Dog Who Wouldn'T Be by Farley Mowat was one of the best selling books. But much more happened, find out here: 20 November 1957. Famous people born on this day include Bo Derek. In that special week people in US were listening to The Green Door by Jim Lowe. Odongo, directed by John Gilling, was one of the most viewed movies released in 1956. King Of Paris by Guy Endore was one of the best selling books. But much more happened, find out here: 20 November 1956. Famous people born on this day include Angela Finocchiaro. In UK Hernando's Hideaway by Johnston Brothers was in the top 5 hits. Good Morning, Miss Dove, directed by Henry Koster, was one of the most viewed movies released in 1955. The Scrolls From The Dead Sea by Edmund Wilson was one of the best selling books. But much more happened, find out here: 20 November 1955. 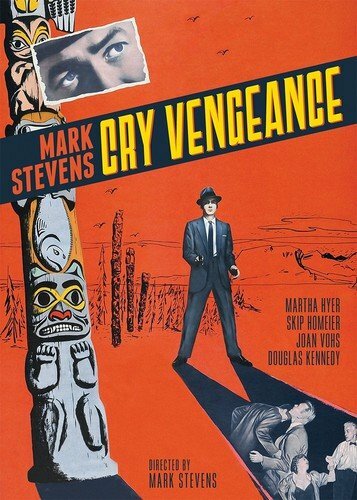 Cry Vengeance directed by Mark Stevens was one of the most viewed movies released in 1954. But much more happened, find out here: 20 November 1954. Famous people born on this day include Duane Theiss. In UK Answer Me by Frankie Laine was in the top 5 hits. 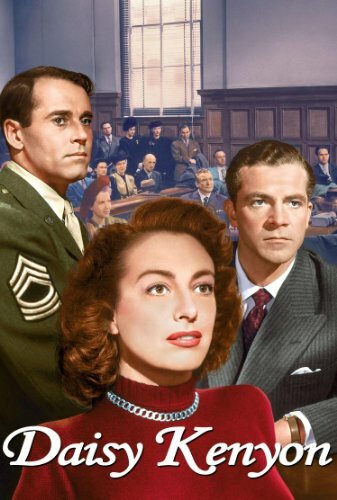 Beat the Devil, directed by John Huston, was one of the most viewed movies released in 1953. Beyond This Place by A.J. Cronin was one of the best selling books. But much more happened, find out here: 20 November 1953. The US president was Harry S. Truman (Democratic). Famous people born on this day include John Van Boxmeer. Hans Christian Andersen, directed by Charles Vidor, was one of the most viewed movies released in 1952. Confessors Of The Name by Gladys Schmitt was one of the best selling books. But much more happened, find out here: 20 November 1952. 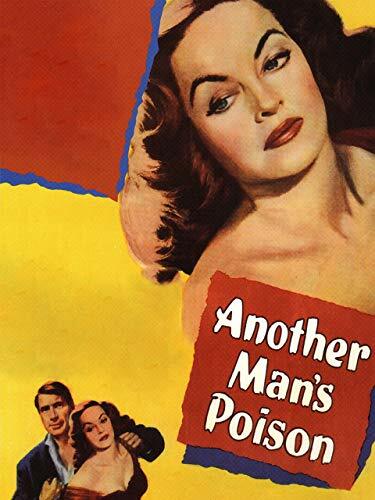 Another Man's Poison directed by Irving Rapper was one of the most viewed movies released in 1951. But much more happened, find out here: 20 November 1951. 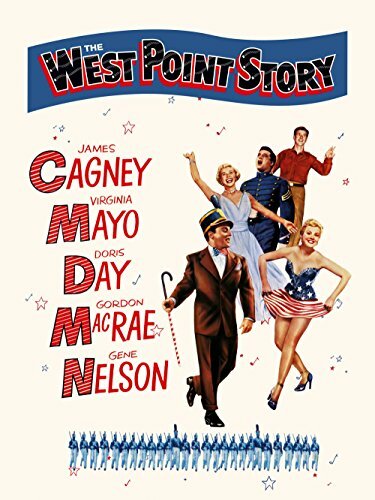 The West Point Story directed by Roy Del Ruth was one of the most viewed movies released in 1950. But much more happened, find out here: 20 November 1950. A Run for Your Money directed by Charles Frend was one of the most viewed movies released in 1949. But much more happened, find out here: 20 November 1949. 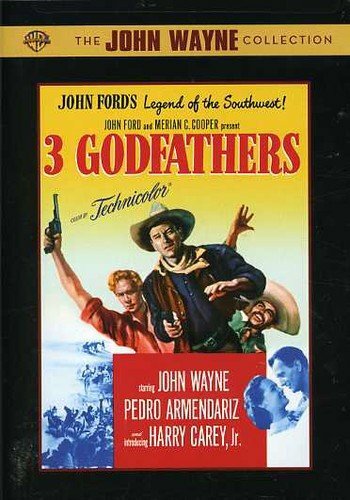 3 Godfathers directed by John Ford was one of the most viewed movies released in 1948. But much more happened, find out here: 20 November 1948. Daisy Kenyon directed by Otto Preminger was one of the most viewed movies released in 1947. But much more happened, find out here: 20 November 1947. Magnificent Doll directed by Frank Borzage was one of the most viewed movies released in 1946. But much more happened, find out here: 20 November 1946. 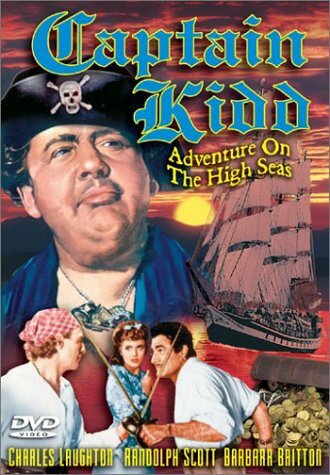 Captain Kidd directed by Rowland V. Lee was one of the most viewed movies released in 1945. But much more happened, find out here: 20 November 1945. 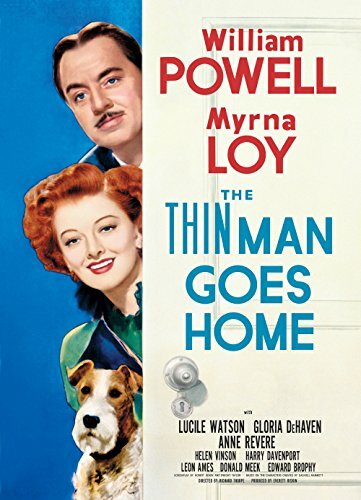 The Thin Man Goes Home directed by Richard Thorpe was one of the most viewed movies released in 1944. But much more happened, find out here: 20 November 1944. 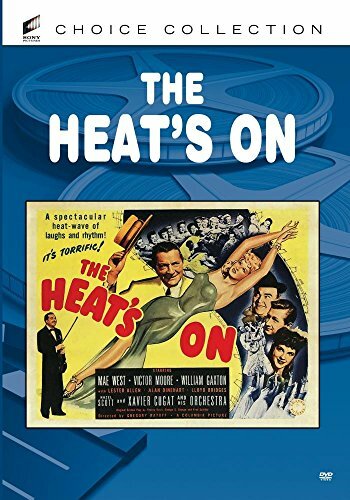 The Heat's On directed by Gregory Ratoff was one of the most viewed movies released in 1943. But much more happened, find out here: 20 November 1943. 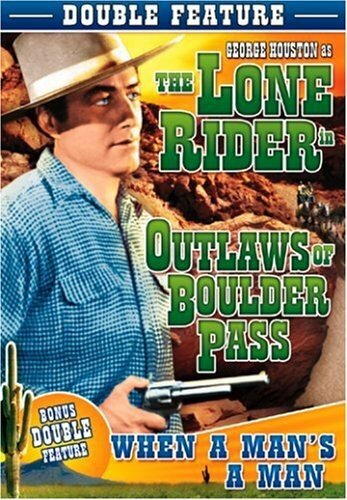 Outlaws of Boulder Pass directed by Sam Newfield was one of the most viewed movies released in 1942. But much more happened, find out here: 20 November 1942. 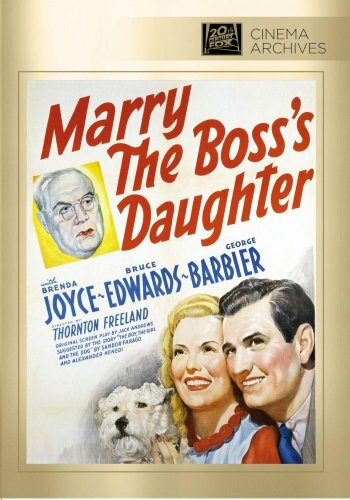 Marry the Boss's Daughter directed by Thornton Freeland was one of the most viewed movies released in 1941. But much more happened, find out here: 20 November 1941. 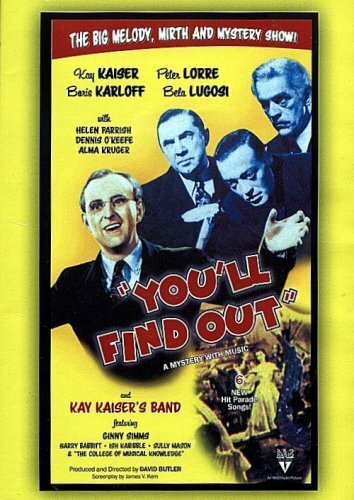 You'll Find Out directed by David Butler was one of the most viewed movies released in 1940. But much more happened, find out here: 20 November 1940. 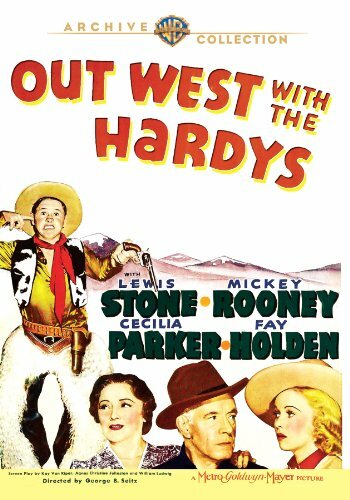 Out West with the Hardys directed by George B. Seitz was one of the most viewed movies released in 1938. But much more happened, find out here: 20 November 1938. 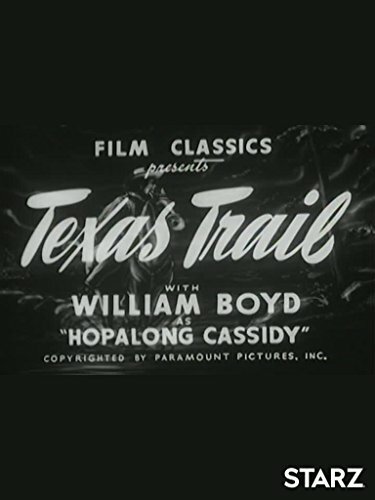 Texas Trail directed by David Selman was one of the most viewed movies released in 1937. But much more happened, find out here: 20 November 1937. 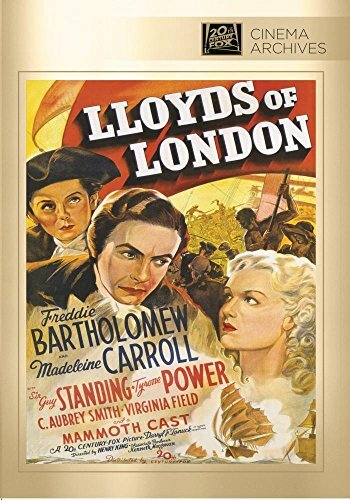 Lloyd's of London directed by Henry King was one of the most viewed movies released in 1936. But much more happened, find out here: 20 November 1936. 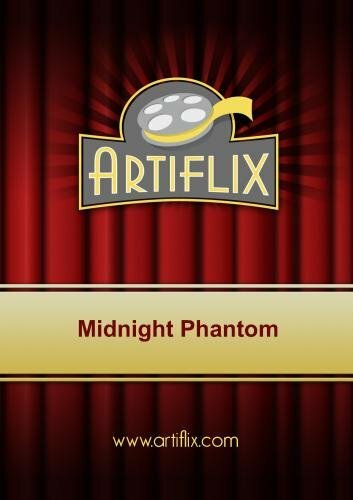 Midnight Phantom directed by Bernard B. Ray was one of the most viewed movies released in 1935. But much more happened, find out here: 20 November 1935. 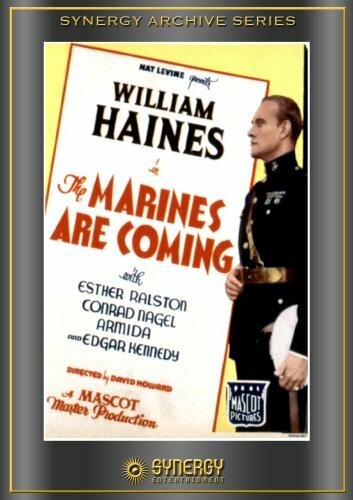 The Marines Are Coming directed by David Howard was one of the most viewed movies released in 1934. But much more happened, find out here: 20 November 1934. 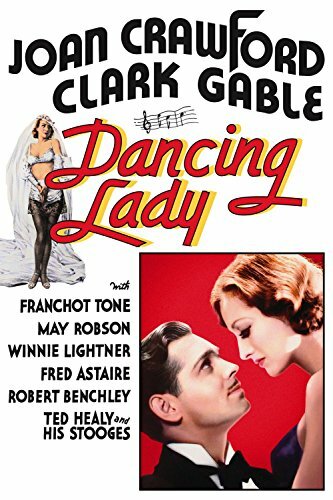 Dancing Lady directed by Robert Z. Leonard was one of the most viewed movies released in 1933. But much more happened, find out here: 20 November 1933. 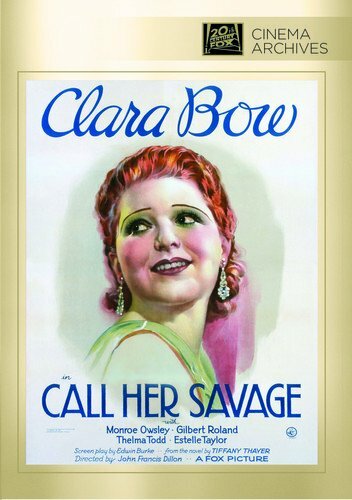 Call Her Savage directed by John Francis Dillon was one of the most viewed movies released in 1932. But much more happened, find out here: 20 November 1932. 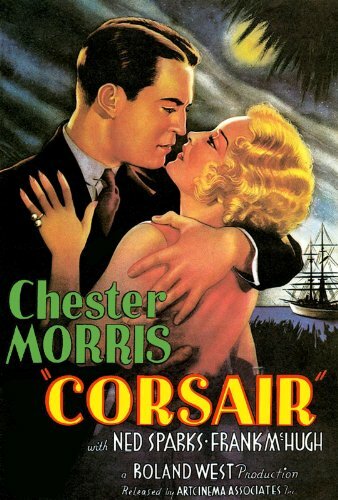 Corsair directed by Roland West was one of the most viewed movies released in 1931. But much more happened, find out here: 20 November 1931. 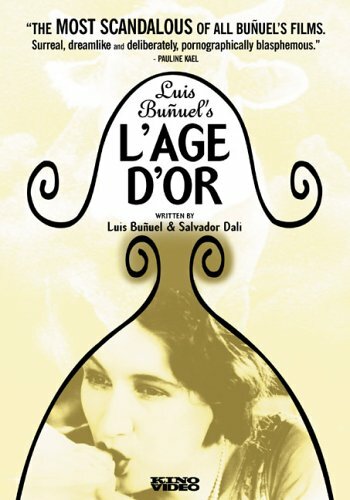 L'Age d'Or directed by Luis Buñuel was one of the most viewed movies released in 1930. But much more happened, find out here: 20 November 1930. 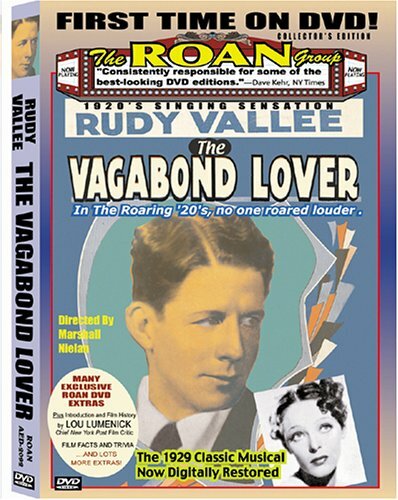 The Vagabond Lover directed by Marshall Neilan was one of the most viewed movies released in 1929. But much more happened, find out here: 20 November 1929. 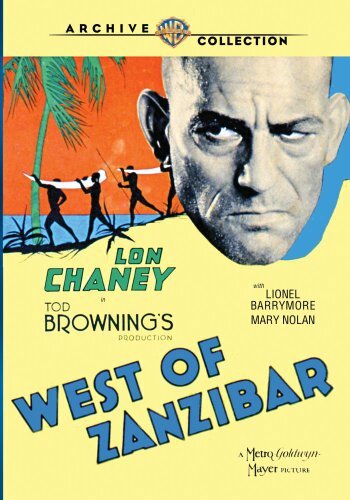 West of Zanzibar directed by Tod Browning was one of the most viewed movies released in 1928. But much more happened, find out here: 20 November 1928. 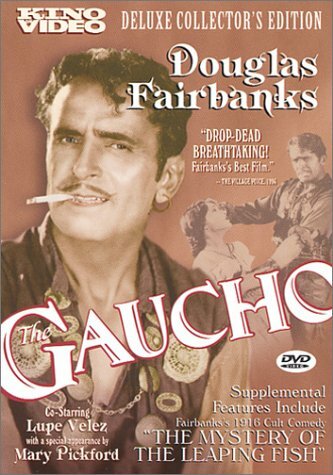 The Gaucho directed by F. Richard Jones was one of the most viewed movies released in 1927. But much more happened, find out here: 20 November 1927. 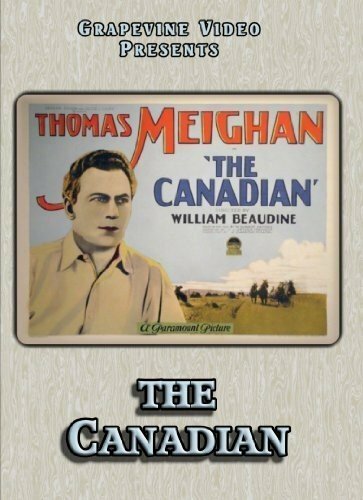 The Canadian directed by William Beaudine was one of the most viewed movies released in 1926. But much more happened, find out here: 20 November 1926. 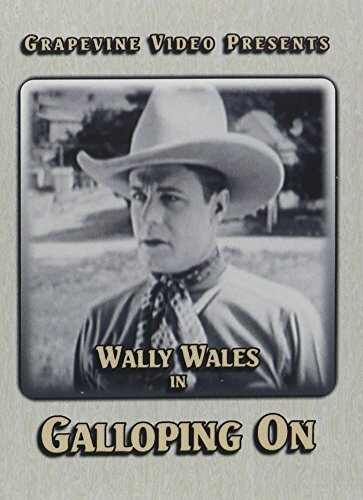 Galloping On directed by Richard Thorpe was one of the most viewed movies released in 1925. But much more happened, find out here: 20 November 1925. 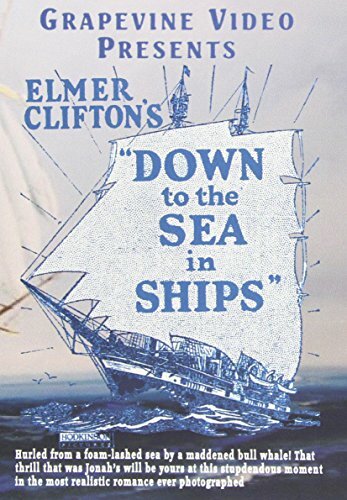 Down to the Sea in Ships directed by Elmer Clifton was one of the most viewed movies released in 1922. But much more happened, find out here: 20 November 1922. Male and Female directed by Cecil B. DeMille was one of the most viewed movies released in 1919. But much more happened, find out here: 20 November 1919. All Night directed by Paul Powell was one of the most viewed movies released in 1918. But much more happened, find out here: 20 November 1918. 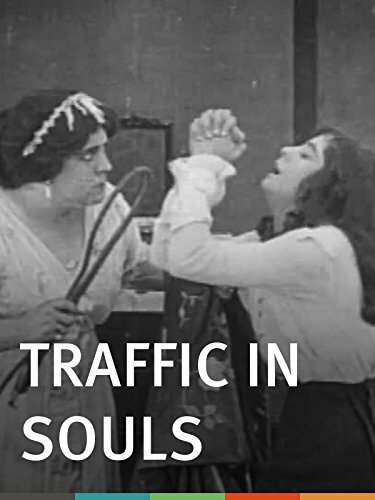 Traffic in Souls directed by George Loane Tucker was one of the most viewed movies released in 1913. But much more happened, find out here: 20 November 1913.